Twyford Playgroup is a committee run pre-school which means that it is managed by a group of parents and community members. Twyford Playgroup is a charity and the committee are the voluntary directors of this charity. What do they do? The committee are responsible for managing funds, deciding on outings, organising events, fundraising, making decisions and managing the staff. We are always on the look out for enthusiastic fundraisers. Please let us know in person or via email if you would like to help at one of our events. Committee members usually change at the AGM held in September/October. If you are interested please ask a member of the committee or contact us via the website for more information. Each year we begin the handover in Summer term to allow people time to learn the roles before they are responsible for them. Chair: the chair leads the committee and oversees the administrative tasks. The role involves being responsible for overall management of the Playgroup, chairing meetings and working closely with the setting manager. Treasurer: the treasurer is responsible for overseeing the finances of playgroup and working with the book keeper to manage the accounts. Accounts are submitted annually to Companies House and the Charity Commission. Other tasks include, preparing the annual budget, overseeing expenditure, signing cheques, banking and reconciling petty cash. A background in finance or accounting would be ideal. Company Secretary: the secretary is responsible for filing company reports with Companies House and the Charities Commission. In addition to this you will take, distribute and keep a record of meeting agendas and minutes. Other Committee Members: these directors attend and vote on committee meeting agenda items, support the officers in their role and are delegated tasks throughout the year. 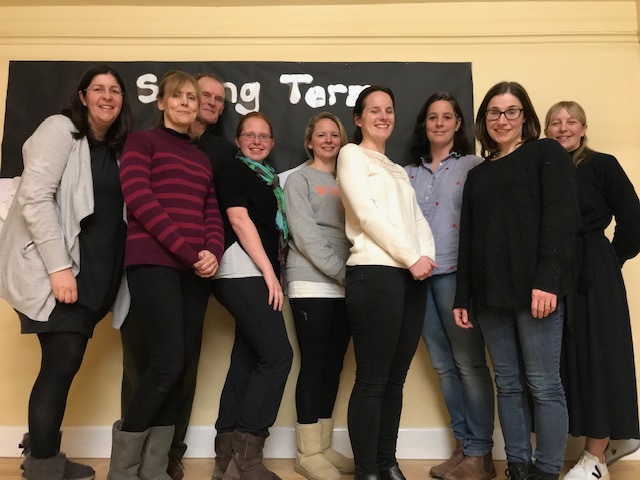 The committee work with fundraising parents to create community events which enable Playgroup to provide their wonderful service to local pre-school children. How often are meetings? Meetings are held on average once a half term plus an annual AGM in September. Additional meetings for fundraisers are held when needed. What is the time commitment? Office bearers should expect to need 2-3 hours per week, general committee members will need about 2 – 3 hours per month. What will happen if no committee comes forward? Without a committee to run the setting, Twyford Playgroup would have to close either forever or until a private company was found to run it (will take approximately six months to register). What happens if no officers volunteer? Without office bearers there can not be a viable committee and Playgroup could be closed following the AGM. If I joined would I have any personal liability? From August 2012 the structure of Playgroup changed to a limited company and liability for committee members is limited to a nominal amount (£1). You would be a Company Director and have the responsibilities associated with that position. Why have a committee? Twyford Playgroup is a charity and like all other charities is directed by a board of trustees. By remaining a charity we can ensure the pre-school is run for the benefit of the children. I’d like to get involved with just fund raising. Brilliant! Have a word with us and we can sign you up to help with one of our fundraising events during the year. Our main events are the Christmas Fair held in conjunction with Twyford Tots and our Annual Quiz Night held in the Spring.